The Diamond veil will take your look to the next level with its elegant lace trickling throughout this gorgeous cathedral length veil. 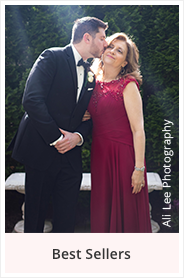 The metal comb ensures your knockout veil will stay put for hours. 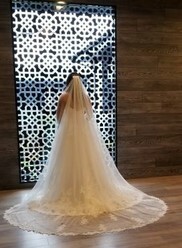 Length: 110"
I can't even find the words to express how happy I was with this veil! 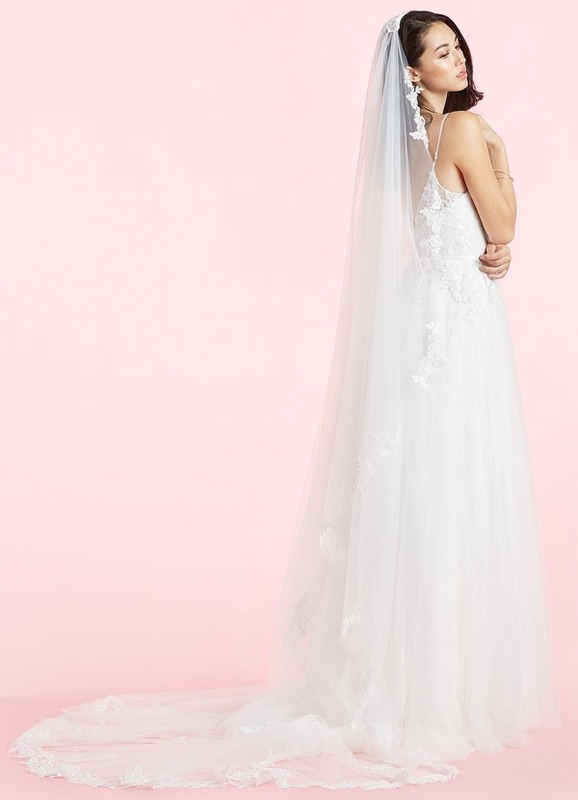 I was not convinced I even wanted a veil but OH MY! This veil was gorgeous! You seriously can't go wrong! 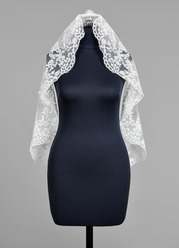 I would highly recommend this veil to anyone looking for a full cathedral veil! It was everything I ever dreamed a cathedral veil could be! $10 veils from knockoff sites are seriously not worth it. 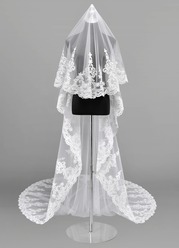 They look great in the pictures but are not full and dreamy like this veil! It is most definitely worth the money! 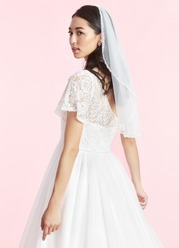 I would buy this veil 100 times over! 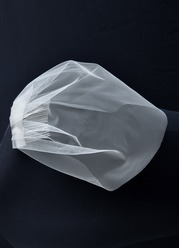 GET THIS VEIL! It's a beautiful veil. 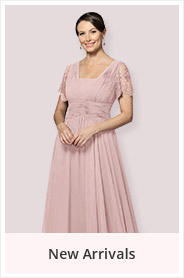 I ordered it hoping I would get it in time for my wedding and it arrived a few days before the guaranteed date of delivery. 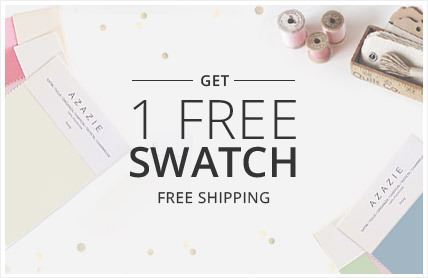 I would totally recommend Azazie to my friends and future brides!